Our NLP Practitioner course covers 10 days, broken down into three modules spread out over a number of months. 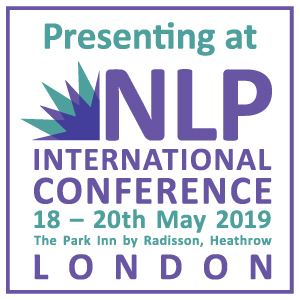 This spread enables you to take in your growing knowledge of NLP slowly – this material is too good to be rushed, and takes time to work into your life at the levels where it will be most effective. We also find that the ‘spread’ means that friendships have time to develop – the journey of personal discovery is best carried out in the company of like minds, and many people make lasting friendships on our courses. Rapport. How to establish and maintain strong, open, constructive relationships with other people, at home and at work. This is not just a set of ‘tricks’, but a tool for personal change and development. Pacing and Leading. Understand and harness the power of timing. Calibration. This is a tool for developing a deep understanding of others, which you will use again and again in more advanced NLP practice – but also in everyday life. Neurological Levels. Understand the relationships between mission, identity, beliefs, values, abilities, behaviour and environment and how these interact both in your own motivation and in that of others. Goals and Outcomes. Goals are often talked about and rather less often achieved. You will learn and work with a process that shows you step-by-step how to set and achieve goals, how to monitor your progress towards goals, and, perhaps most important of all, to outwit the things we all do to ‘sabotage’ goals. Perceptual Positions. Behind this rather weighty phrase is a powerful set of tools for improving communication. They are superbly effective when working in conflict resolution and negotiation, and great for improving presentations, too. The Coaching Approach. Even if you are not a coach, or intending to be one, coaching has lessons for you. Ever more workplaces favour a ‘coaching’ style of management: away from the workplace, these ideas and methods can be used by teachers, parents or simply as a way of relating to others in a positive way. Attention Training. Every day, we will present exercises to develop focussed attention, which you can apply in all kinds of work and life situations. These exercises are also valuable as a means of relieving stress. 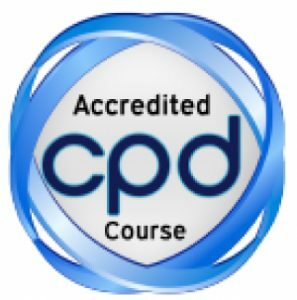 MODULE 2: Advanced Coaching – with Processes for Personal and Professional Transformation. In this module, we start to understand the interrelation of mind and body. These two are often seen as disconnected, and even as rivals, but actually they are meant to work together and create amazing results. Much of NLP centres around getting the two back in harmony and working together for mutual benefit: the theme of this module. Representational Systems. How the brain actually processes information, and how every individual’s brain does this in a subtly different way. Find your pattern, and establish that of other people, in order to communicate – and listen – effectively. Circle of Excellence. A powerful performance preparation technique, used by top athletes, presenters and politicians world-wide. Get yourself into the best possible state before any stressful event. Modelling. What would it be like if you could analyse a skill and acquire it in a fraction of the time of normal learning? NLP allows you to do just that, and helps you teach those skills more effectively, too. Eye Accessing Cues. The eyes are the windows of the soul, and their movements give clues as to the working of the brain. Eye accessing cues give valuable information about how a person thinks. Use in negotiation, therapy, sales, or just for fun. New Light through Old Windows. A process that enables us to revisit past events without pain and instead learn from them. Mapping Across. Take unique qualities and attributes from one area of your life and transfer them to another area where they are badly needed. You can map across from social life to work, sport to business, or even from illness to health. As in Module 1, we will continue our attention training, with exercises to increase your capacity for calmness and focus. This will continue through your entire NLP Practitioner course. Archetypes. We look at archetypal energies in mythology and classic storytelling, and examine practical, tested ways of using these to bring about change. Don’t be fooled if you think Disney is all about cute mice: the man was a massively successful entrepreneur, and this process, modelled on his practice, is a powerful creativity and decision-making tool. It’s perfect for anyone with an over-strong inner critic or who wants to liberate their imagination. Change Personal History. You cannot change the past, but you can change how you perceive and feel about it, and thus the person that you are now because of it. This is a powerful technique for leaving behind memories and turning them into useful life-lessons. Timelines. Understanding how you represent time – and working with these representations – enables you to explore your past in a new way and to plan and work towards the future that you truly desire. These modules of your NLP Practitioner Training will also concentrate on language and language patterns. How do we hypnotize ourselves and others with half-truths and slogans, and how can we undo this, for ourselves and for others? Trance. Trance is a common state for all of us – daydreaming, watching TV, doing routine work… At these times, it is often a state where we pick up unhelpful messages. But trance can be used to ‘de-programme’ ourselves and others, and to swap programming for creativity, freedom, integrity and choice. You will find out how. Hypnosis. You will learn the practice of hypnosis, and the ethics: this is not for silly stage stunts or for dishonest gain, but to bring about positive change. Clean Language. A simple tool for listening to others and for clarifying discourse. Stories and Metaphor. As storytellers and writers have known for millennia, these are powerful tools for inspiration and change. We will look at some ways you can use them. Game Analysis. We will look at the ‘Games People Play’, a concept from Transactional Analysis, and how to avoid being caught in these. The final module of your NLP course is like the end of a journey. There are still nlp techniques, concepts and tools to be learned, and all the learning we have done needs to be integrated.In this module, we take a deeper look at the nature of personal change, and ways in which we can bring it about. Frames. We have worked with attention since the beginning of the course. Now, by looking at frames, we will examine the contexts and constraints where attention is directed – and how we can change these. The Hero’s Journey. This remarkable tool for deep inner change is based on the structure of traditional myths – and the secret behind successful contemporary Hollywood movies. Phobia Cure. A single traumatic experience can leave a person terrified of certain situations for life. With this technique they can ‘unlearn’ that fear in just a few minutes. Six Step Reframing. A simple technique that can be used to change unwanted habits and develop new ones. Parts Integration. A way of resolving with inner conflict, and of turning inner ‘enemies’ into allies. Releasing Enmeshment. This is a technique for dealing with past memories and people that just ‘won’t let go’. Set yourself free with peace of mind. The Seven Parallels. This is a way of aligning both your own ‘neurological levels’ and the various aspects of collective bodies – work, family, community, place of worship – that you belong to. Assessment. All good things have to come to an end! 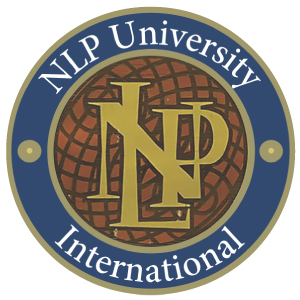 Part of this module is an assessment day, when we will assure ourselves that you have earned the Qualification of NLP Practitioner, understanding and applying NLP with skill, elegance and ethics.